About six months ago, after I'd given some thought to what sort of video resources I might create for G.W.F. Hegel's Phenomenology of Spirit, I decided to venture upon an ambitious project. 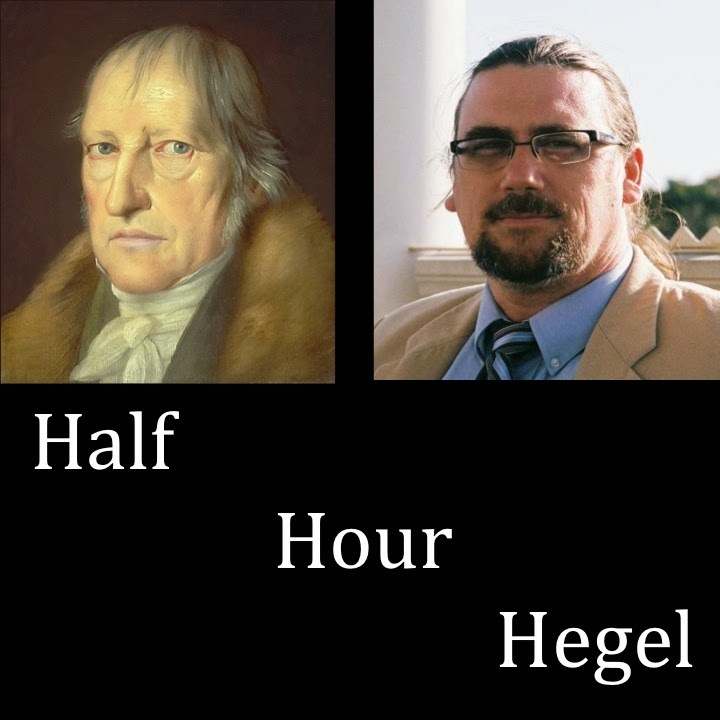 I'd work my way, paragraph by paragraph, through the entirety of the work, and publish the video footage in roughly 25-35 minute segments -- half and hour of Hegel at a time. Since then, I've produced and published 20 installments in that series -- so 10 hours of reading and commentary on the text. That's really a drop in the bucket -- we're a bit over halfway through the Preface. The entire work will most likely require a good 250 to 300 videos and two to three years of consistent effort for me to complete. But it is worth it, because when it is finished, it will represent the accomplishment of something quite new -- an online, free, publicly accessible video resource taking any interested student or lifelong learner through a difficult but rewarding philosophical work. While there are a number of Hegel scholars I freely acknowledge to be much more deeply versed in his work, whose scholarship I greatly respect and benefit from, I am an at least competent expositor of this great German Idealist thinker -- and, most importantly, willing to commit the time, thought, and energy to create this resource and to offer it to the worldwide public. As the videos started to accumulate in my YouTube channel, it quickly became apparent that I would need some sort of site, if not to house them (YouTube does that quite well), at least to organize and curate them. I have some experience with creating and contributing to blogger sites -- oriented towards other topics, thinkers, and movements in philosophy -- so that platform provided a convenient nexus for this Hegel-related activity, as well as potential for gradually assembling resources that might help or interest newcomers to Hegel's thought. It was my YouTube viewers who originally requested -- or rather, with increased frequency, importuned -- me to create videos grappling with Hegel's Phenomenology of Spirit. I'm proud to say that in those six months since I started, those 20 videos have been viewed over 20,000 times -- 234,000 minutes of my reading and rambling have been watched. They have evoked over 500 comments on the videos. I'm not sure exactly what I will be doing with this site beyond aggregating and organizing the videos as I produce them, and providing links to other resources useful to the study of Hegel. It's really, like the video series itself, an experiment -- a marriage of the possibilities offered by internet technology, on the one side, and old-school philosophical thinking and teaching, on the other. So, if you've got ideas, suggestions, comments. . . this is a good place to set them down.